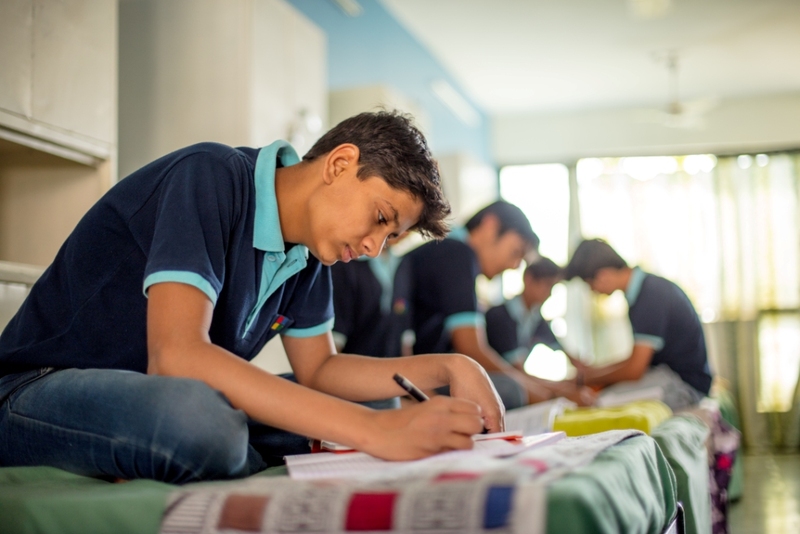 Staying in a Boarding house is a unique experience, and we, at Indore Public School, believe that the best possible environment and resources should be provided to the students, so that they can blend themselves, and carve out their future paths. Built in a peaceful setting within the school grounds, yet only a stone’s throw away from the school’s central facilities, the self-contained, purpose-built Boarding house of Indore Public School provides a wonderful opportunity for Indore Public School students to experience a greater degree of independence and privacy. The Indore Public School Boarding house aims at over all development of the personality of the Boarders. The school provides separate residential facilities for both boys and girls on the campus. The Boarding houses are well equipped, and have all the facilities that help the children live and grow in an environment that they can identify as their home. Boarding house life instills confidence, and makes one independent. It’s an opportunity provided where you make friends for life. The Boarding house has two kinds of accommodations i.e. dormitory provision as well as twin-sharing rooms, both have attached bathrooms to them which make it a comfortable place for students to study, socialize, and relax making them feel at home. Residential School staff is accessible, and attentive to the students at all times. Our staff is constituted of approachable, experienced matrons who are sensitive, caring, and provides the personalized attention to meet their academic, emotional, and social needs. The Boarding house has well trained staff members which includes a housemistress and a housemaster, along with a whole range of support staff. They are entrusted with the well being of the children, and to ensure that the needs of our students are fully met. Extra coaching classes are conducted for the students preparing for various competitive exams. Sports and other co-curricular activities like horse riding, judo, karate, rifle-shooting, yoga, swimming etc. are compulsory after academics. On campus, we have a 24×7 medical facility and a prompt access to a nearby hospital in the vicinity. Moreover, the nutrition of the students is a carefully monitored, cautious process that offers a wide range of dietary options. To ensure life beyond the Boarding house, regular outings are arranged for our residential students. Away from home, every festival is celebrated with involvement and fervor. The list of fun and frolics is never ending here. It’s a perfect combo of fun outings, adventure camps, sports outings, and educational trips. The Boarding house students indulge in movie watching, fine dining, shopping, celebrating every festival with gusto and zeal, at the same time developing social responsibility, understanding life, and getting armed with life tools to lead life in a better and smarter way.